Search to explore and find predictions to capitalize on opportunities in the marketplace quickly. 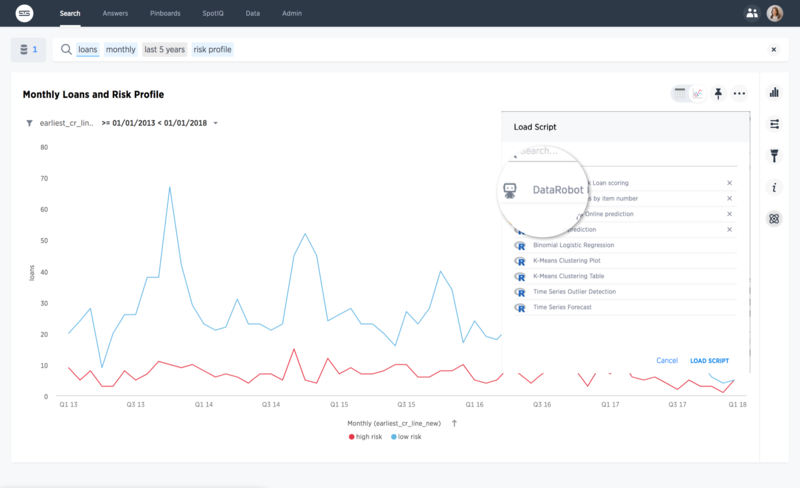 Run predictions via DataRobot from within ThoughtSpot and visualize the results to make optimal business decisions. Anyone can easily deploy automated machine learning models without writing a single line of code. Uncover deeper insights from machine learning at a fraction of the time to guide your decision. From search, to predictive models, to automated insights. See AI drive value across your entire analytics and data science workflow. From answers to predictions in a single click.